I'm delighted that Daily Kits gives me the opportunity to review their laptop lunches. 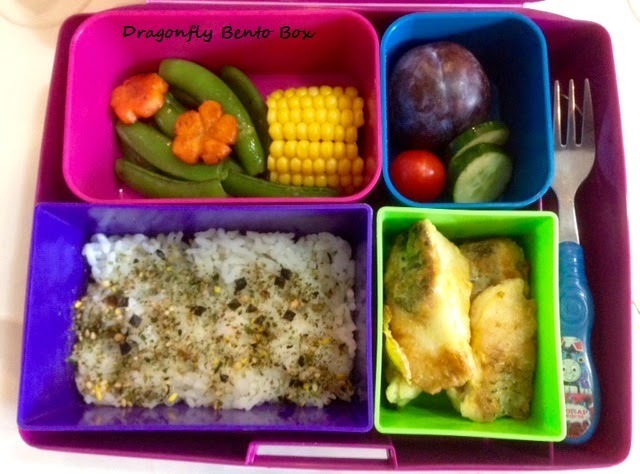 I have stopped making charaben (Character Bento) for him because this little man decides that he has grown up at aged 7 years old and does not want any cute stuff on his bento boxes. Therefore, his lunches are simply assembling of food in the lunch boxes or he eats from his plate most of the time without elaborated style. But once in a while, I will surprised him with a charaben. I'm glad the Mr Nice Guy in him does not mind at all and can be quite a critic over my creations. The laptop lunches comes in many colours and the right time! I was allocated the 'Jubilee' range. It is a pretty purple box and I'm pleased to add it to my collections that are unsightly stashed in my kitchen drawers. They are BPA free, non-toxic and do not contain phthalates or lead. The containers with lids are great for liquid food and sauces/dippers for salads. 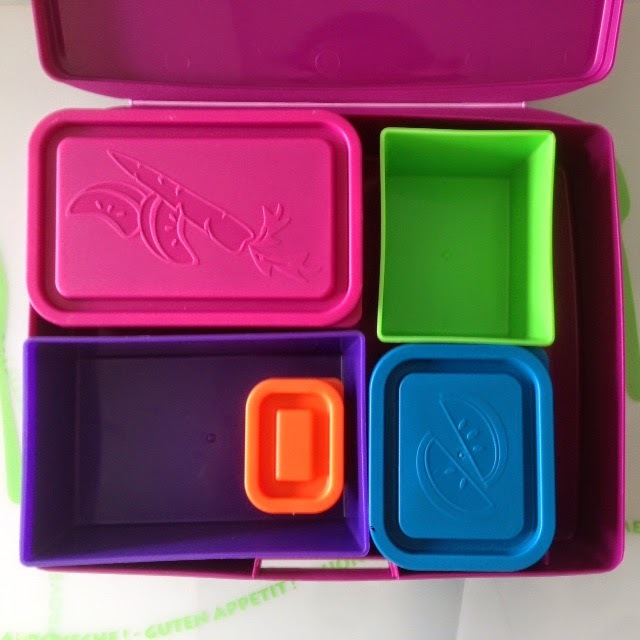 The individual containers are microwaveable except for the lids. It is easy for my Primary schooling boy to open and close effortlessly. Spill proof is another plus point. At first, the little fingers are struggling how to open the rectangle box. We read but did not follow the instructions per se. After a few practices, we conclude that we are more comfortable opening the box by using our forefingers to push the latch up from the bottom. 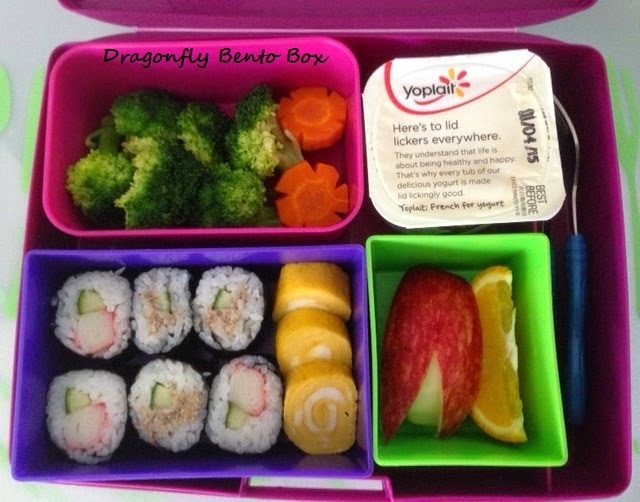 The size of laptop lunch is much bigger than the Japanese bento boxes which means it occupies half the space of his school bag. So he hand carried it all the way to the school. No fuss and he happily walked to school. The insulated bento sleeve and ice gel keeps the food fresh. Even the ice gel is also much bigger and will add on to the overall weight which is something I do not like. Considering the humid and warmer weather in Singapore, the ice gel, of course, will definitely come in handy to keep the food longer in school despite its sheer size and weight. I can foresee him using more often when he needs to stay in the school for extra activities at upper Primary school. My boy loves it nevertheless, and gives it a thumbs up for the laptop lunches.